Blanching is a process in which you boil or steam vegetables briefly until they are partially cooked. It is an essential step before freezing many vegetables including broccoli, leafy greens, string beans, okra, and asparagus. Vegetables that are frozen without having been blanched are safe to eat but have "off" colors, textures and flavors. If you've ever stuck a bunch of raw spinach into the freezer and taken it out later to find you had a darkened, gooey mess, you understand. 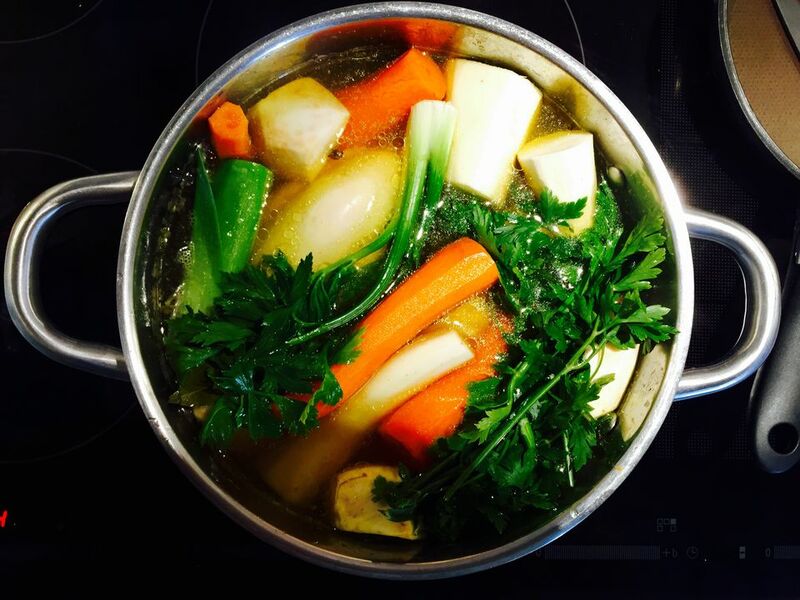 Blanching stops the enzymatic activity that decays vegetables. These enzymes can survive freezing temperatures and continue the decaying process even though the food is frozen. Pre-treating the food in boiling water or steam kills the enzymes. Bring the water to a boil while you clean and up the vegetables. After the vegetable has been blanched for the recommended time, drain the vegetables and immediately plunge the blanched veggies into ice water or run cold water over them. You want to cool the food down as quickly as possible so that it doesn't continue cooking from the residual heat. After the food has been quickly cooled, drain it well. With leafy greens, squeeze out as much liquid as possible. Excess liquid results in poor quality frozen food. Place the blanched vegetables into freezer bags or containers and place in the freezer. Although some sources suggest blanching times for sweet peppers, onions, corn, and tomatoes, these vegetables can be frozen without blanching. Most root vegetables, especially potatoes, do not freeze well even when they are blanched first. Even perfectly blanched and frozen vegetables lose some of their nutritional content over time, so it is important to label your frozen foods with the date they were frozen and take note of how long foods can be frozen.